CLEAR MUSCLE is a novel, never-before-produced supplement that supplies the revolutionary muscle-building compound called BetaTOR, which is a unique, cutting-edge free-acid derivative of HMB and metabolite of leucine. This compound unlocks the true potential for unprecedented bioavailability, effectiveness, and results. The CLEAR MUSCLE formula is the first to contain BetaTOR, and is only available from MuscleTech in a clear liquid pill. As you can see below, the free-acid nature of the compound gives it a viscous, water-like consistency and transparency. In fact, the free-acid nature of BetaTOR allows it to digest and appear in the bloodstream quicker, delivering a superior muscle absorption rate. Once in the muscle, the compound in CLEAR MUSCLE activates the anabolic (muscle building) process in the muscle called the “p70S6k/mTOR” pathway. This is the universal pathway that must be activated for a muscle to build itself up. The compound also works on a separate pathway – the ubiquitin-proteosome-proteolytic pathway (UPPP), helping to shut down its activity. Normally, when the UPPP is activated, your muscle is broken down (catabolism). But because the compound shuts down (inhibits) the UPPP, muscle breakdown is decreased. So in short, every dose of CLEAR MUSCLE amps up your protein synthesis in the muscle while also decreasing muscle breakdown, putting you in the perfect state to build more muscle. Warnings: For adult use only. Do not use if pregnant or nursing. Consult a doctor before use if you have a medical condition and before starting a diet or exercise program. KEEP OUT OF REACH OF CHILDREN. This is one of the few products that helped me put on some serious size and gain some noticeable strength in a short period of time. It is very easy to use being that you just need to take a couple pills during the day. I'll be using this for the foreseeable future. Love it. Used it for 2 months and I gained over 5kgs of weight! للاسف منتج لانتيجة حقيقية له ، تجربة لمدة شهرين ، بالرغم من انضباطي الغذائي والتدريبي . ربما يتناسب مع بعض للاجسام وليس جميعها . 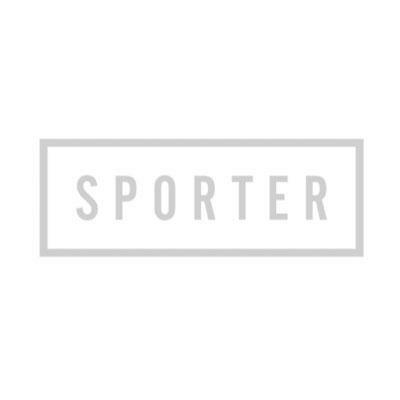 I have tried it for past 3 weeks and result are good...i have gained 4 kgs to be precise ...i love this product and i am going to order it once again....Thank you sporter for fast delivery. I wanted to try this out but I decided I wasn't going to change much with my workouts or my diet. I wanted to take full advantage of the claims of more muscle so I did up my protein intake. From past experiences, I don't feel like the increase I made in my diet would have produced the results I got. 4 weeks later and I'm up a fairly solid 5lbs pounds. Now I know that's not all muscle obviously but still I look leaner and weigh more - there cant be that much fat with that gain. Pretty happy to say the least. my personal trainer was very impressed with how hard I was working. the magic and results in the gym! They say there is no such thing as a magic lifting pill, but apparently they've never tried clear muscles !! These pills are as good as they get!! But there is one SMALL catch. You have to put in the work to get the growth you want !! The harder you work, the more strength and gains you will receive. The pills pull the "magic" strings on the inside while you produce the magic and results in the gym!